To connect your 1100 Series tester to a computer, you will need a cable that can connect your tester to a PC. You will also need to purchase and install Easy-Wire on a computer. Then you will be able to build test programs, test cables, and print reports. 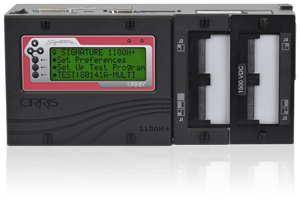 Talk to your Cirris representative to learn more.